The immediate area has mile after mile of vineyards and crops such as sunflowers, wheat and maize - the colours of the fields can be striking. 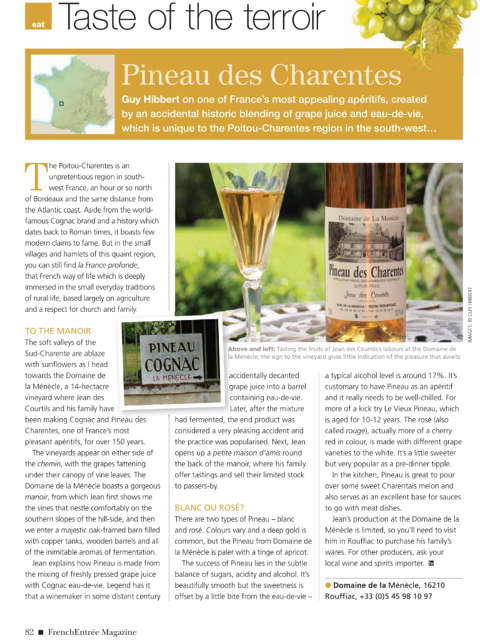 The grapes in the area are used to make Cognac, Pineau des Charentes, the local (delicious) aperitif and Charentais wine. Pineau des Charentes is a fortified wine, vin de liqueur, blended with slightly fermented grape must and Cognac. It is served chilled (8 to 10 °C) in a tulip shaped glass (like the sherry glass). (See magazine article at the bottom of this page). 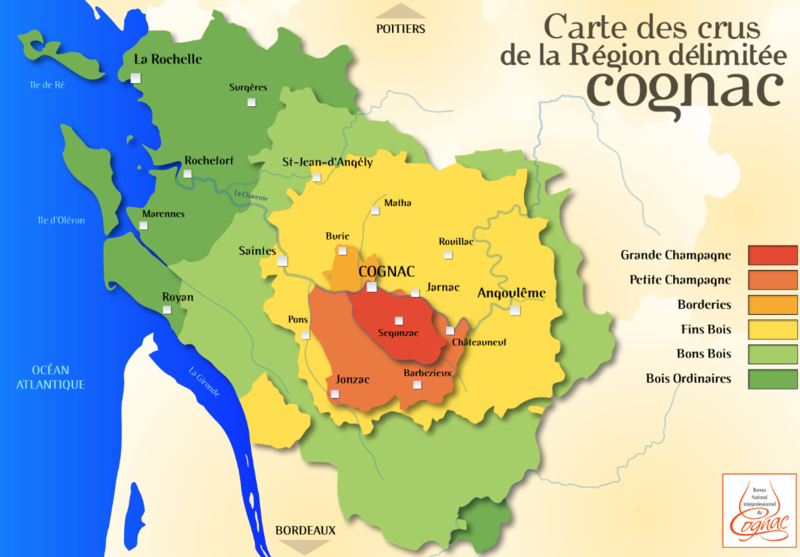 As for Cognac, we are on the edge of the Petite Champagne area - see map. The area is rich with historic towns, villages and places of cultural interest. Some of these (eg Cognac, Bordeaux) are household names. Others (Jonzac, Angouleme) might not be quite so well known but are just as worthy of a visit, if you can tear yourself away from the relaxing garden. The roads in this part of France are much quieter than in England, so far less stressful and if the GPS says it should take 45 minutes to get somewhere, it probably WILL take only that amount of time. 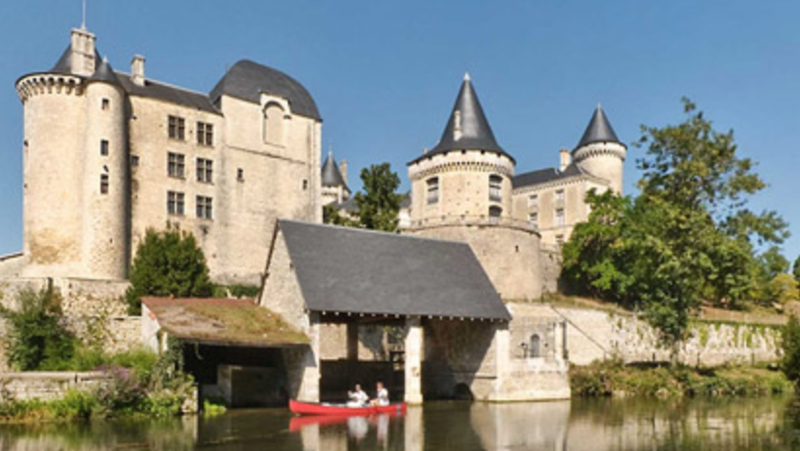 Barzieux is our lovely, local market town and is typically French and very friendly. Make sure you walk around the old town to admire the typical, local white-stone buildings which cluster in the shadow of the church. 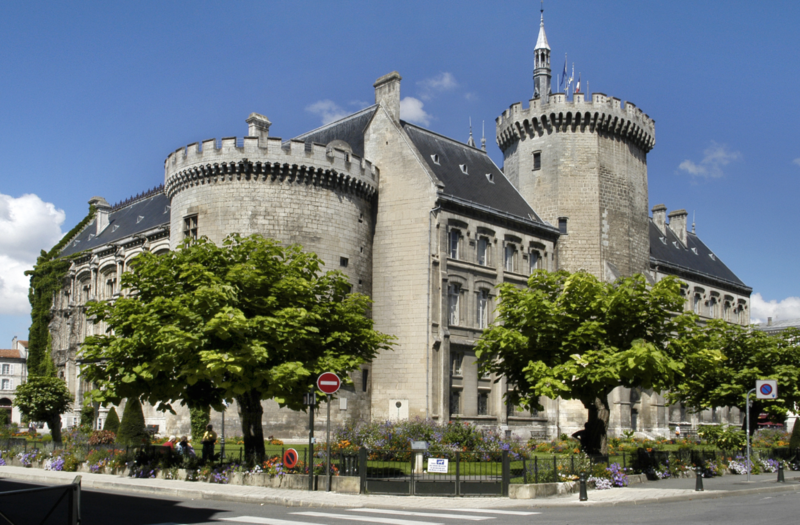 The town is best known for the Chateau de Barbezieux, an imposing 15th century castle which now houses the Barbezieux tourist office. (Barbezieux has two large supermarkets, both of which are very well-stocked, plus other useful commerce - banks, vets etc). 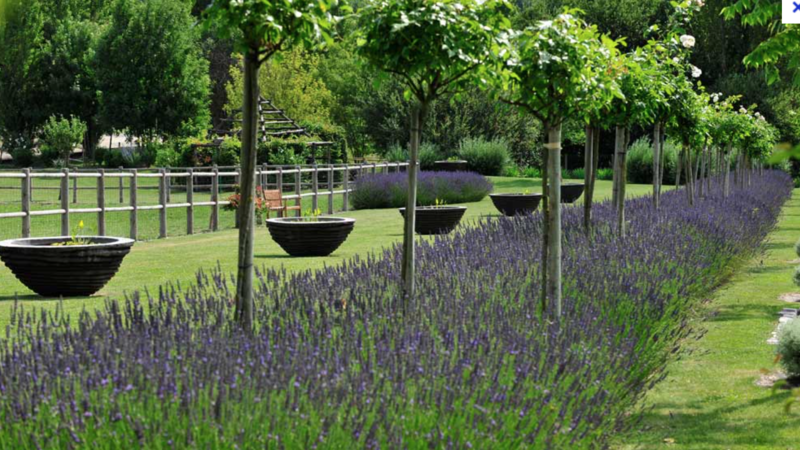 A place of tranquility and quiet beauty, Les Jardins du Chaigne are gorgeous French gardens surrounding a 19th-century manor house. There's usually a large variety of vibrant flowers, and there are fruit gardens and chestnut trees. The garden is divided into sections: a French garden with geometric hedging, well-groomed topiaries, lavender, and roses; the vegetable garden with its wonderful selection of edible delights; the water garden with superb views; and the "petit théâtre," which is an area of sloped lawn that mimics the shape of a theatre. 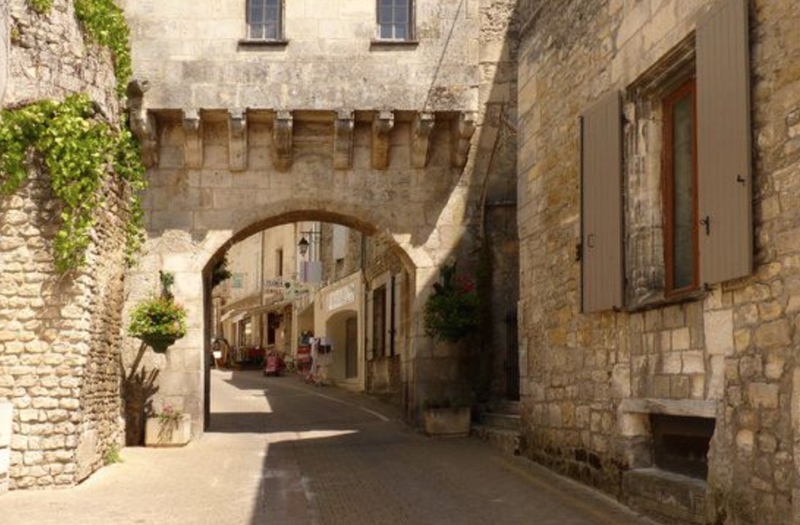 Aubeterre-sur-Dronne is one of France's official "Plus Beaux Villages" (Most Beautiful Villages). This medieval hilltop village has a typical tree-lined town square, steep cobblestone streets, and red-tile roofed buildings. During the Middle Ages, the village was a stop on the pilgrimage trail to Santiago de Compostela. You can wander around the town, take in the views, shop at artisan boutiques... You shouldn't miss the incredible "underground church", the Eglise Saint-Jean, which was carved out of a cliff. It actually isn't underground at all, so those of you who are a little claustrophobic (like me!) shouldn't be put off visiting - it's impressive! Aubeterre also has a river beach, popular in the summer for kayaking and other activities. J onzac is a quiet, pretty little town with beautiful stone buildings... Its history dates back to the ancient romans although in recent years it has reinvented itself as a popular spa and leisure centre and several thousand visitors a year now visit to receive benefits of the water from the thermal springs. A substantial water-based leisure complex has recently been opened, known as the 'Antilles de Jonzac' and featuring a lagoon, indoor beach and waterfalls. 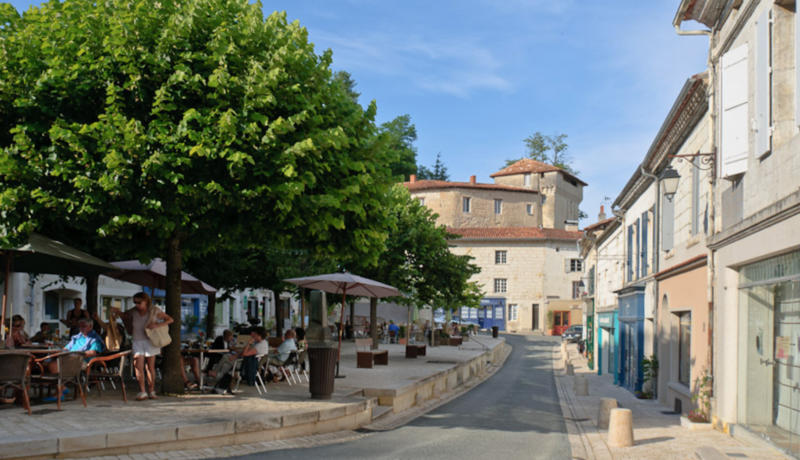 The most notable building in the town is the Chateau de Jonzac, built in the 15th century on the site of an earlier castle that had been destroyed during the Hundred Years War. The chateau now houses the town hall and an archaeology museum (in the cloisters). The Church of Saint-Gervais-Saint-Protais is a 12th century roman style church with an attractive facade and a nicely proportioned belltower, while another religious monument in Jonzac is the Convent of the Carmes (16th century). 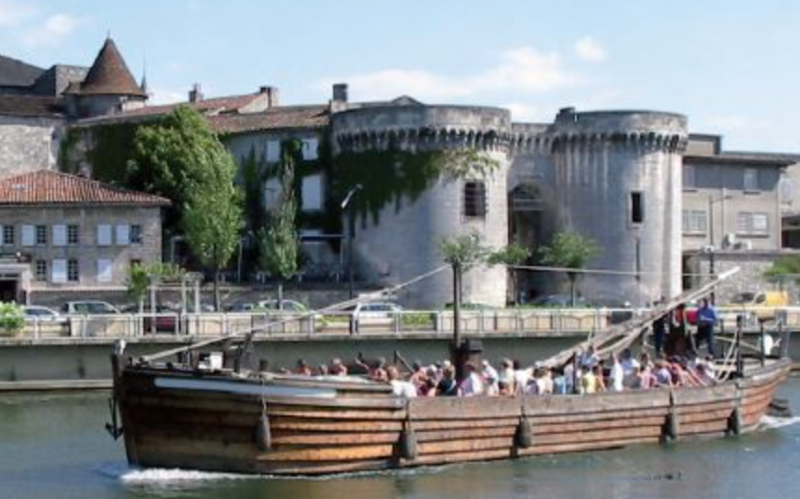 The elegant town of Cognac has inspiring architecture and quaint narrow streets; the old town has many lovely 17th and 18th-century mansions. 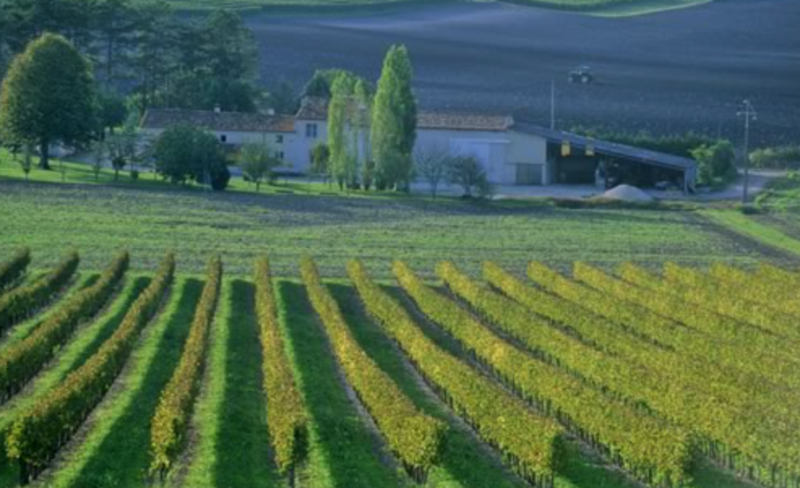 The name of Cognac is known the world over because of the brandy produced in the region, and the chance to visit the Cognac distilleries attracts many visitors. The Château de La Rochefoucauld was built between the 12th and 16th centuries, and blends different architectural styles including impressive medieval towers and majestic Renaissance galleries. 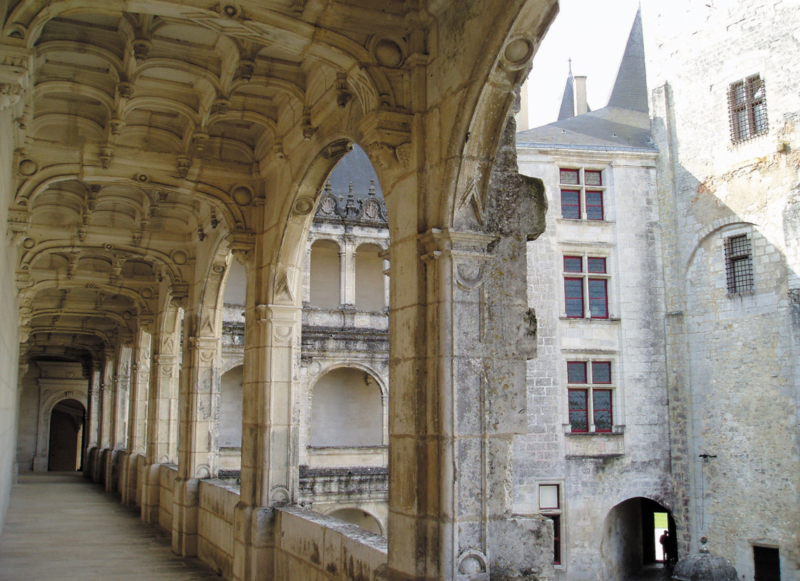 The Grand Courtyard shows an Italian influence and is one of the finest courtyards in France. Address: Château de La Rochefoucauld, 16110 La Rochefoucauld. On the Charentes River the village of Verteuil-sur-Charente was a stop on the medieval pilgrimage route from Tours to Santiago de Compostela in Spain. The village has an enchanting turreted château, which from a distance looks like a fairy tale castle. 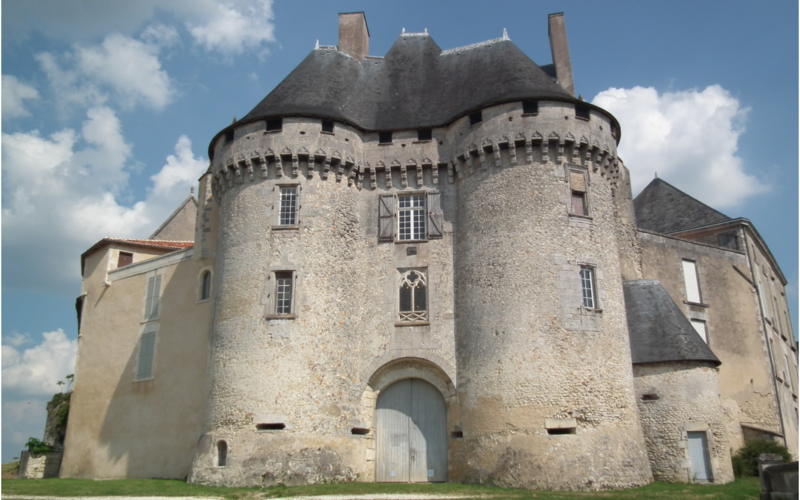 The Château de Verteuil is considered one of the finest castles in the Charente region. 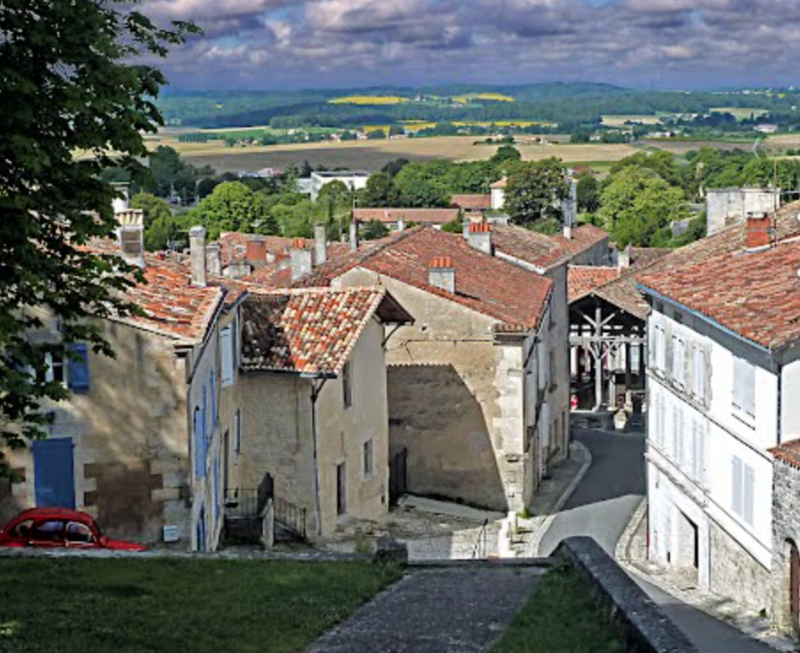 To explore the town, take the steep steps from Rue du Temple up to the Chemin des Dames, which leads to the church. The 12th-century Eglise Saint-Medard boasts a fantastic Mise au Tombeau, a life-sized, painted terracotta sculpture of the Entombment of Christ created in the 16th century by Germain Pilon. "France This Way" is one of the many helpful tourism websites and some of the information below is taken from that resource.